You would be hard pushed not to see asparagus on any seasonal kitchen’s menu throughout May. The season is short, especially so in Scotland, and with that comes a race to secure the glorious green bunches of delicious glamis asparagus from Sandy and Heather Pattullo of Eassie Farm. I have a small confession here; I have some insider knowledge up at Glamis. Like any hard-working, successful man in his thirties will tell you, my secret weapon is my Mum! She works across at Strathmore Estates and as soon as the first gorgeous bunch is ready to pick she’s dialling the restaurant with the news. You have to be quick – by the time you’ve heard it’s good to go… It could be gone! 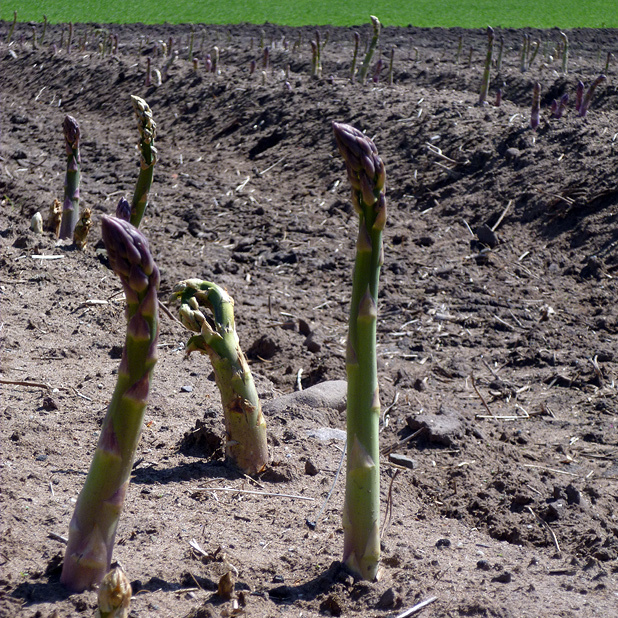 The season can be as short as three weeks and to get local Perthshire asparagus it’s certainly not going to be much longer than six. The product at Eassie is amongst the very best I’ve tasted making it easy for them to pick and choose who they supply. I have considered a phone call in early April offering to wash Sandy’s tractor to secure one of these sweet spots on the top of that list! Where the growing conditions in Scotland are perfect for growing berries, they don’t really benefit asparagus. It refuses to grow in the rain and doesn’t enjoy temperatures below 10 degrees. However, when you get it right – as Eassie consistently does – the quality is quite simply fantastic. Asparagus Photo From The List. 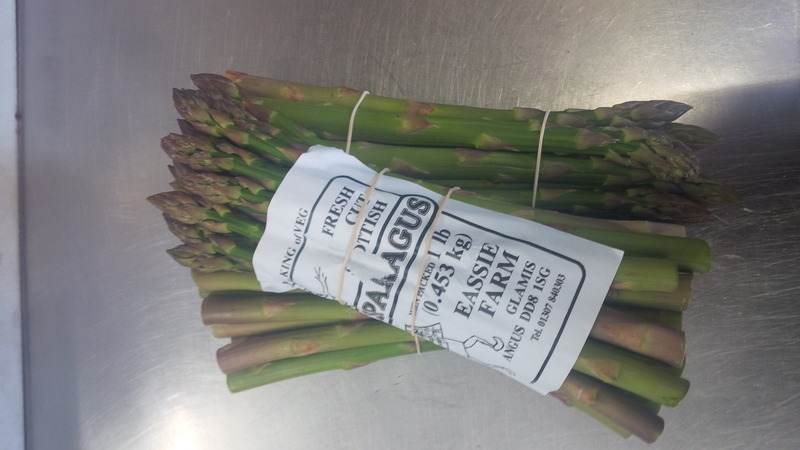 I do get asparagus from elsewhere; the Wye Valley in England produces a great product and this year it was available from early April. The mild winter has stretched the season (the same reason we’re going to have a stonking berry season this summer – I can’t wait!) and I have to admit, the proof was in the eating. It tasted delicious and it seemed such a shame to have a short four week window that I decided to give the people what they wanted (and if I’m honest what I wanted!). So I worked with the neighbours to deliver the goods – I went to England and when I struggled there, I went to France. French asparagus is actually very good but in my humble opinion Eassie’s is the best in Europe. In fact with the annual fight between deli owners and chefs to get onto that elusive list I’d go so far as to say it was iconic. As if growing asparagus isn’t difficult enough, it really begins to deteriorate as soon as it’s picked. This means that you want your asparagus from field to door in not much more than a day. Our vegetable suppliers have done a great job in getting it to us still in prime condition, particularly when it was coming from Wye Valley and France. Sometimes their efforts and hard work can be overlooked by chefs who just leave an order on the answer machine the night before and find it delivered 9 hours later to their kitchen door. The preparation of asparagus couldn’t be simpler as the nutrients and goodness actually travels up the spear leaving the bottom almost woody. You hold the spear at either end and gently bend to snap it just at the point where the asparagus remains at its best. A little peel of the end if you wish and its ready to be blanched – stand it upright in a large pot of boiling, salted water and when it’s done (45 seconds on a hard boil depending on the thickness), refresh it in ice cold water. Overcooking, I hasten to add, is as good as murder. Limp soft spears are enough to reduce to me tears so please, be careful and keep a little bite. As with most green vegetables they are crying out to be eaten immediately so only cook what you are prepared to eat. One of the reasons this vegetable is so popular is the wonderful, wonderful flavour. This means that simplicity in serving is crucial. It lends itself so well to seafood but equally, on its own with a fresh farm egg and hollandaise sauce really hits the spot. We’ve also been known to very lightly paint the spears with a honey, lemon and blackpepper dressing and serve with a good quality cured ham. Seriously good food! 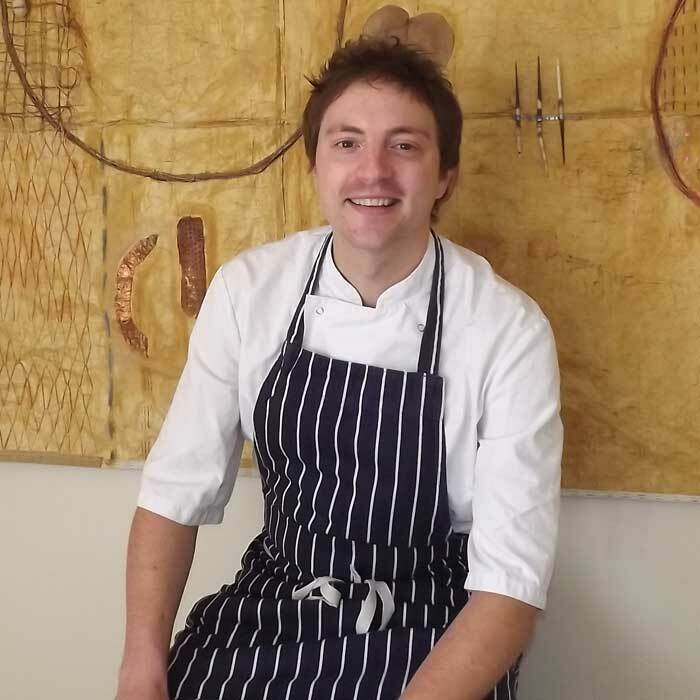 This simple attitude is down to chef confidence because you have to know that you’ve paid for the best possible produce and cooked it to perfection. If both these boxes are ticked then stick to your guns and make it the star of the show! For me, personally, I like it cold with shaved, salty parmesan. You can’t beat it! As a little aside… Some chefs like to chargrill it but I find this barbaric! This majestic vegetable does not deserve to spend its last minutes turning limp and black on something meant for steaks! Quality asparagus is by no means cheap but when you consider the hard work and distribution logistics that the farmers have to contend with you will understand and appreciate why. If you haven’t tried it yet I beg you to give it go, there’s not long left now to pick up the local Eassie stalks (try Provender Brown, I’m sure Diane has secured a supply!). I can promise you it will be one of those food moments you will savour. You can then join the rest of us and spend the next 11 months craving the stunning flavour and wishing for May to come round again.